Established in 1997, JiangYin Guibao Rubber & Plastics Machinery Co.,Ltd. is Located at Zhutang town of Jiangyin city, Jiangsu province, have ISO 9001 and CE certification. Our company is specialized in the production of manufacturing plastic machine including single and double head film blowing machine,automatic rewinder of T-shirt bag machine on roll,star-seal bag machine on roll,draw tape bag on roll and draw tape interleaved bag machine.Bottom sealing machine,side seal machine and printing machine.Our company products have been sold to over 40 countries and regions,including Southeast Asia,Middle East,Africa and Easten Europe. 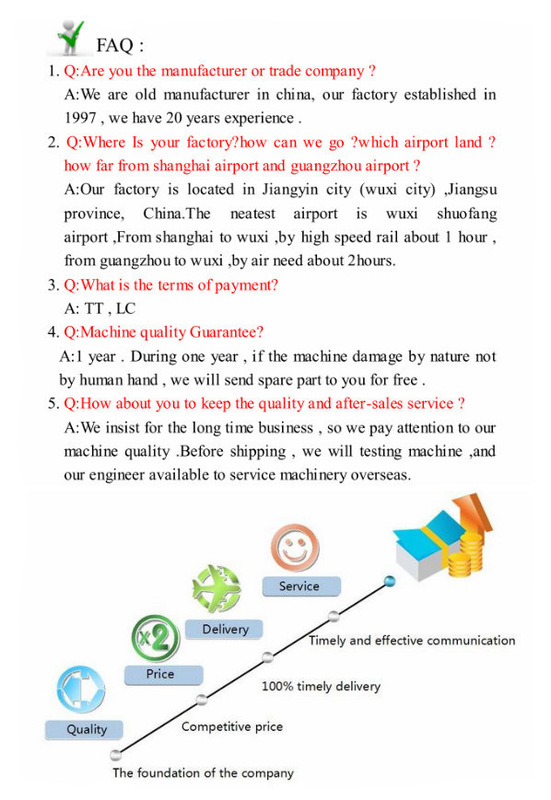 We possess a young and energetic technology team to provide complete after-sale services.With high quality and low price,our enterprise have won the trust from numerous customers.We are looking forward to cooperate with customers from both domestic and overseas. Features: printing colors: 2 colors. 1. printing color can be changed according to customer requirements. 2. Main motor is controlled by inverter. 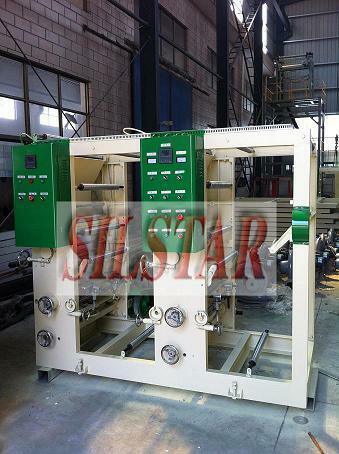 4. drying system: single heating system/ double heating system, with centrifugal blower. 5. Loading method:a shaft installed version.